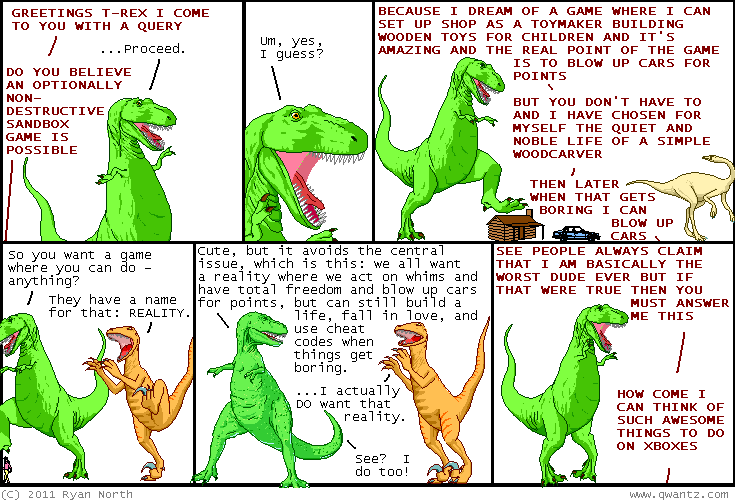 Dinosaur Comics - September 14th, 2011 - awesome fun times! One year ago today: YOU ARE PROBABLY A CYBORG RIGHT NOW. are you aware? ?